The consequences of the NSA’s omnivorous eavesdropping aren’t all bad: to foil American espionage, Germany’s politicians may join Russia’s in reverting to typewriters. That move will doubtless diminish the productivity, such as it is, of both sets of sponges, just as forgoing shipments by planes and trucks in favor of horse-drawn wagons would empty supermarkets pretty dang quick. And while I’m not expecting a hearty “Thank you!” from the serfs of either nation, they owe us one nonetheless: our taxes keep the NSA snooping on their rulers, whose abilities to tyrannize will shrink if they do indeed shun the internet. But that’s a gargantuan “if.” The only perverts spying on Germany as eagerly as the NSA are German bureaucrats. Recall that the guy touting typewriters is “the head of the Bundestag’s parliamentary inquiry into NSA activity in Germany”—the face-saving committee formed to whitewash–sorry, to investigate the German government’s cooperation with Washington. 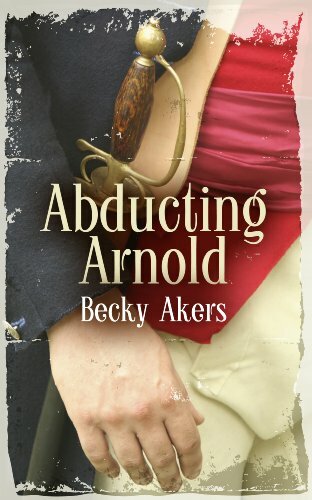 Abducting Arnold--A No... Becky Akers Check Amazon for Pricing. Whoa! That’s advice you seldom if ever hear, even from the NSA’s most intransigent foes. “Yeah, it’s violated the Fourth Amendment, but we need the NSA,” critics hedge before citing one of the agency’s crimes they consider less heinous than the rest, such as its monitoring of “unfriendly” governments or alleged terrorists. Yet aside from corporatists hoping the Feds will destroy their competitors, Demopublicans lusting for inside info on political opponents, or bureaucrats who peep at family and friends, we most certainly don’t need the NSA. At all, for any reason. The government of a free people—if a free people can exist under government, another “if” and an insurmountable one at that—ought never spy on anyone, anywhere. It should keep no secrets of any kind from the taxpayers who foot its bills. Why not? First, because secrecy characterizes every repressive regime, throughout time and around the world. Secrecy lurks at the top of the staircase that steeply declines towards totalitarianism. It grows stronger with descent (and dissent) until it finally suffocates everyone who reaches the dungeon below. Second, pick any governmental secret you like and trace it to its beginnings: always, the State invoked secrecy to protect or further empower itself and its cronies, not its victims. 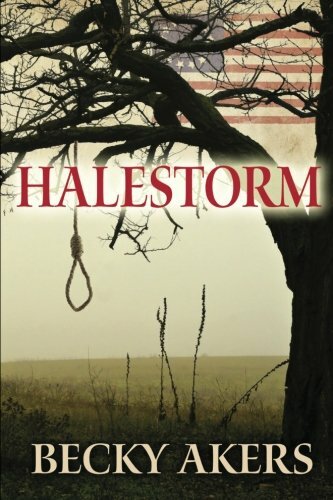 All Leviathan’s protestations to the contrary, Halestorm Becky Akers Best Price: $4.49 Buy New $12.96 (as of 08:40 EDT - Details) all its hyperventilating over “national security “ and “CLASSIFIED,” can’t change that essential fact. There’s only one legitimate exception to prohibiting Our Rulers from keeping secrets: military officers might occasionally conceal their plans for battle. But that exemption presupposes a “just war,” in which Americans defend themselves from invasion—or from the sociopaths in DC—rather than the imperial aggression the USSA usually wages. The American Revolution featured several such scenarios, in which secrecy regarding particular stratagems enabled the rebels to triumph against odds longer than Barack “Pinocchio” Obama’s nose. For example, General Benedict Arnold took the Revolution naval at Valcour Island in Lake Champlain during the fall of 1776. His homemade armada of 16 little boats confronted twice their number of British ships, some of which mounted almost as many cannon as Arnold’s entire fleet did. Arnold knew the Redcoats would prevail, but to save as many lives as possible, he breathed not a word of his dispositions for the upcoming fight; as my novel, Abducting Arnold, puts Against the State: An ... Llewellyn H. Rockwell Jr. Best Price: $5.00 Buy New $9.30 (as of 10:25 EDT - Details) it, “Despite his preparation and the surprises he would unleash this day—surprises planned in such secrecy, he had confided to no one, not even his officers, lest a spy carry word to [the enemy]—despite that, obliteration awaited.” But it didn’t. Thanks to Arnold’s genius and discretion, the Patriots did indeed lose the battle while winning the overall campaign—and that campaign insured their ultimate victory in the Revolution. 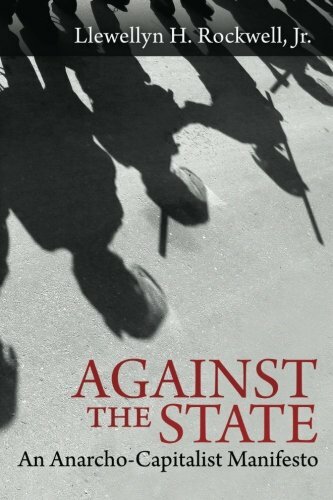 The State’s secrets are lethal to liberty. The more it keeps, the stronger our chains. Becky Akers’ novel, Abducting Arnold, turns little-known history into an edge-of-your-seat thriller. Buy it before it’s banned!